Feed Little Boy, the zoo’s only American alligator. 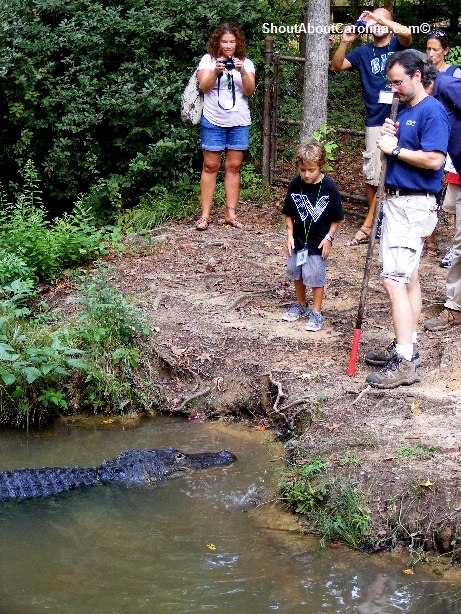 Visitors who bid and won this “behind the scene” adventure got to participate in the alligator training session. They were literally feet away from the crocodilian monster! 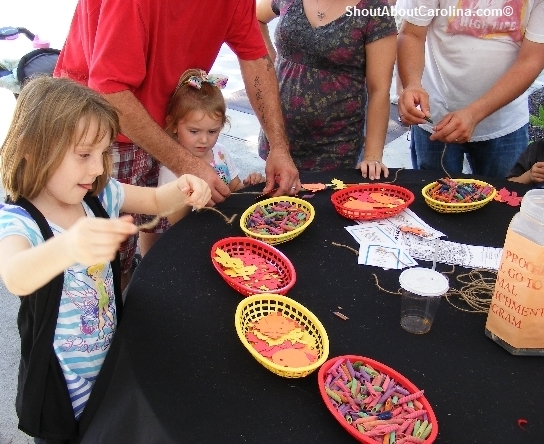 Kids made their own craft using pasta shells, string and construction paper and also got a free tattoo. 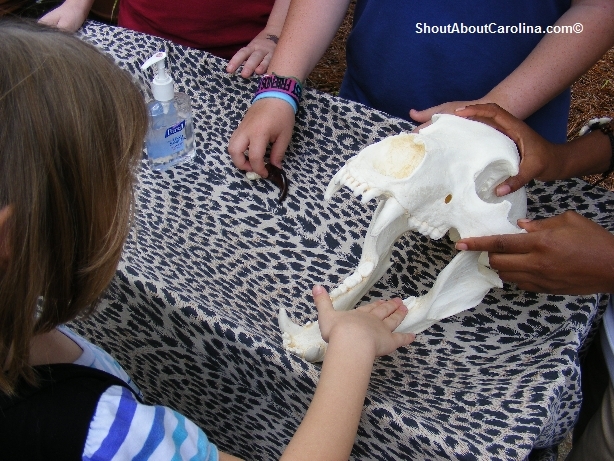 Kids got to learn more about animals at the zoo, touch a bear skull and claw, cayman teeth and leathery skin, etc. 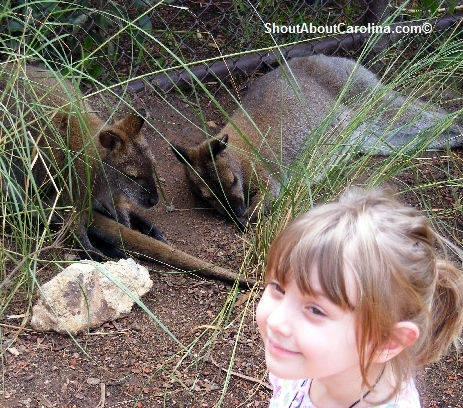 These are some very big teeth! 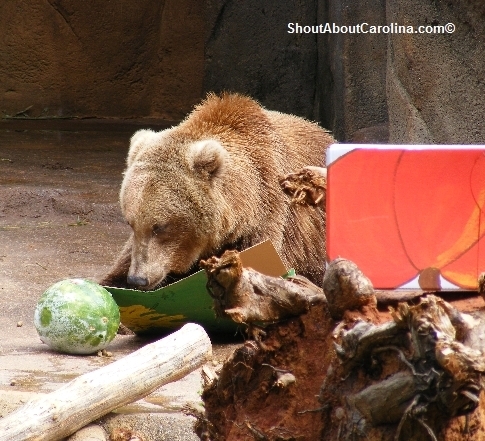 The grizzly bears seemed the most pleased with their watermelon and molasses covered boxes. 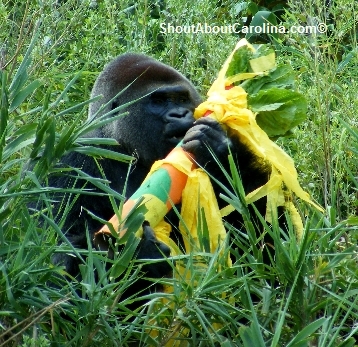 Chalka, the silverback gorilla, was intrigued by his colorful snack tube filled with goodies. Hmmmm, what can it be? 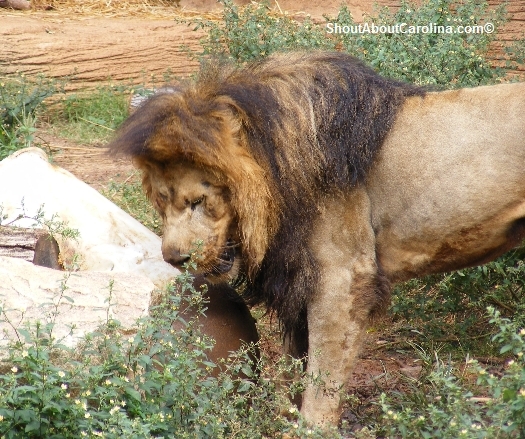 The lion got a little frustrated trying to open his present filled with tantalizing smelling meat. Eventually he hauled in the cave to “finish” it off in private. Although we missed the elephant feeding session we still got to see the ladies giving themselves a nice mud spa treatment. Big and small, feathers and fur all animals got a special treat on Enrichment Day. 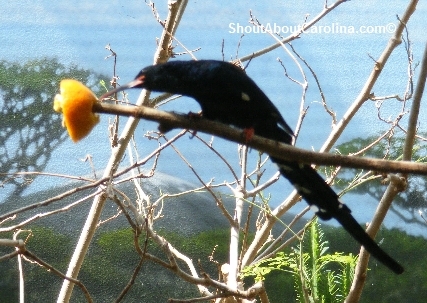 This exotic bird enjoyed a fresh juicy orange. 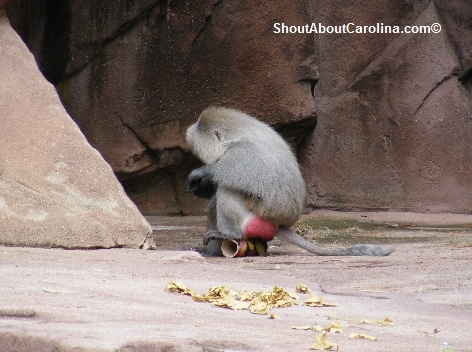 The male baboon will take no chances! He claimed this treat as his very own. 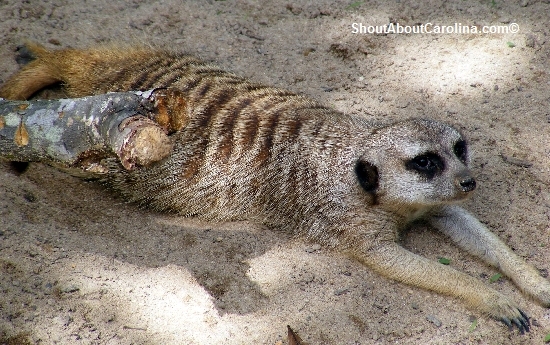 While at the zoo take the free trolley to the Botanical Gardens filled with hundreds of flowers, ornamental plants, trees, spices and funky art. There is a special children’s garden and a nice shaded playground. 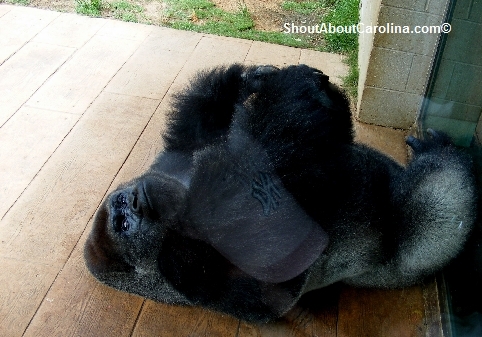 Mark your calendar for the Boo at the Zoo, a Riverbanks Zoo & Garden Halloween Spooktacular! October 14-16 and 21-30, 6-9PM. Tickets are $6 members ($8 regular admission). The baby is so cute! 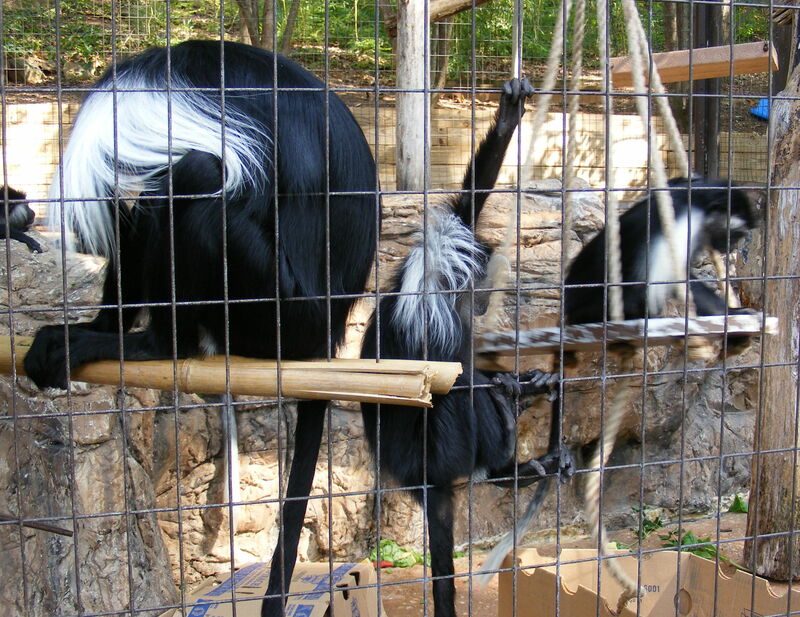 The most interesting exhibit at the Greenville Zoo featured the Angola Colobus Monkeys. 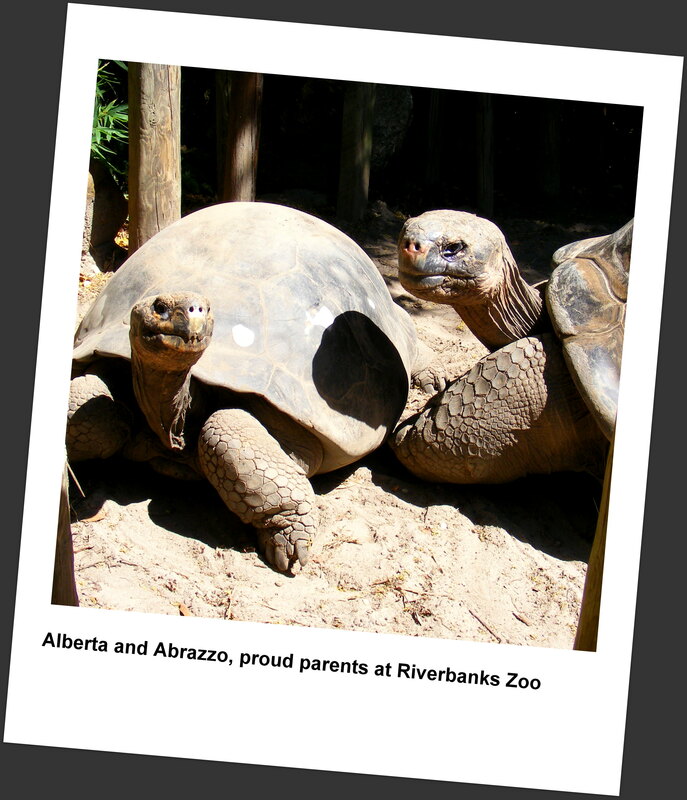 Adanna was born in January 2011, a third successful pregnancy for mother Lami and father Valentino. 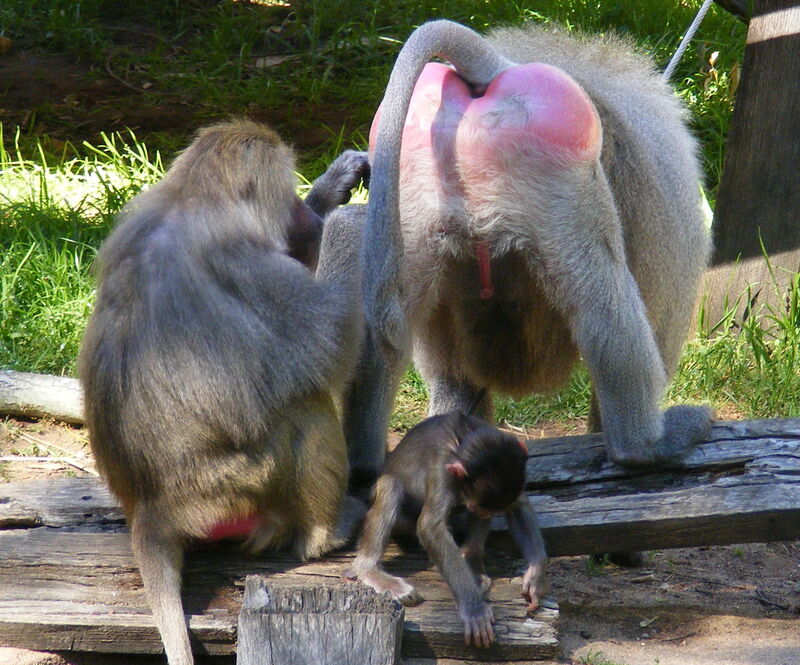 At birth, a baby Colobus monkey is completely white. It will start changing color after one month. 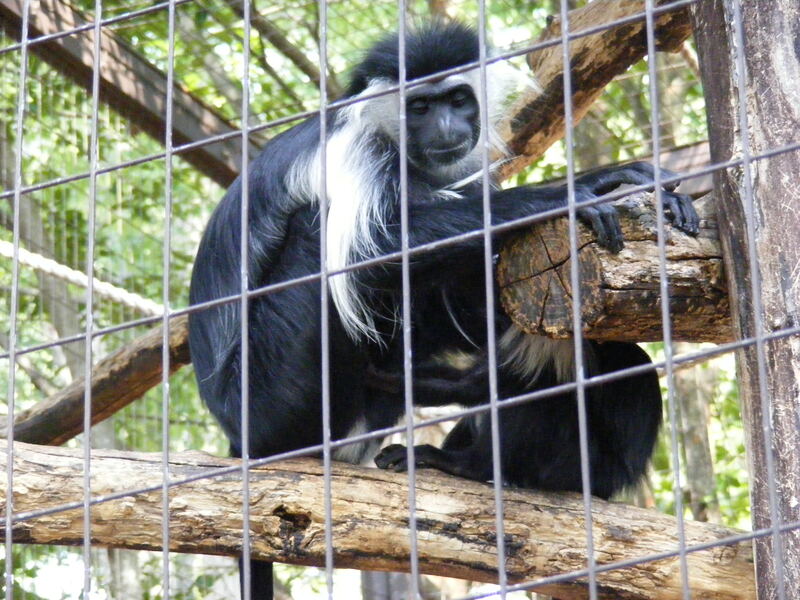 Colobus monkeys are the most arboreal of all African monkeys, spending their entire life in trees. Although their hands are thumbless they are extremely good climbers, known to jump from branch to branch, sometimes leaping up to 50 feet in the air! 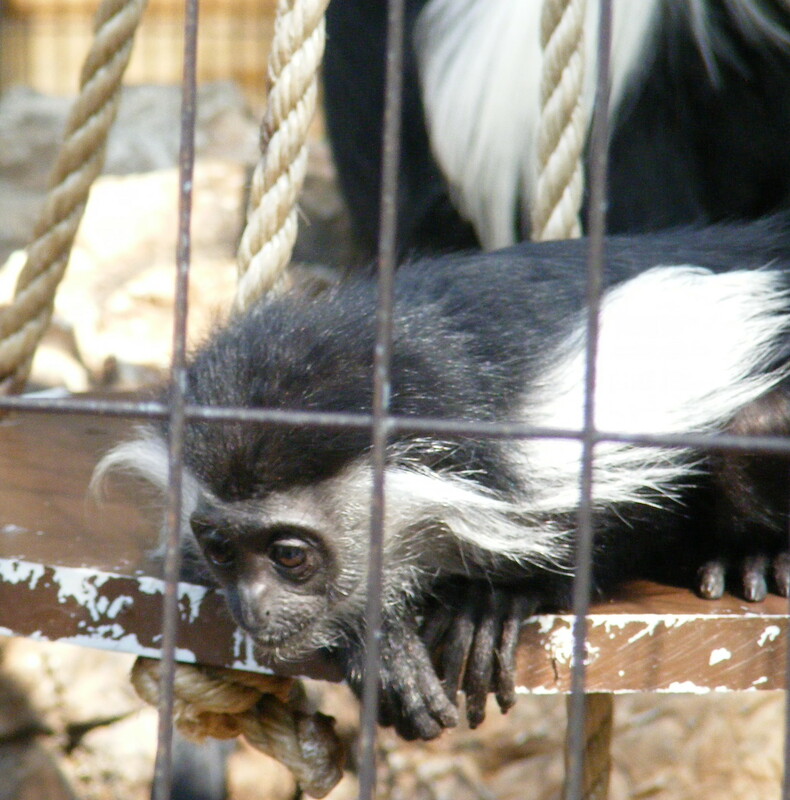 Avid eaters, the Colobus monkey will consume fruits, seeds and seeds throughout the day. 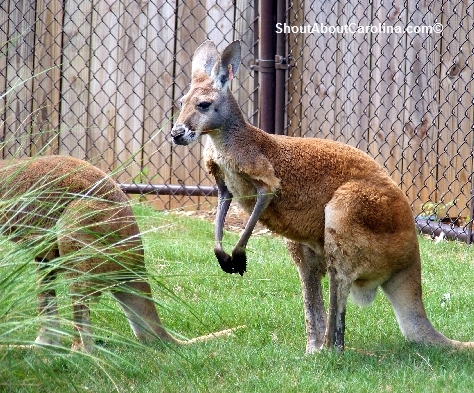 Their super sized stomach can hold up to a third of their body weight! 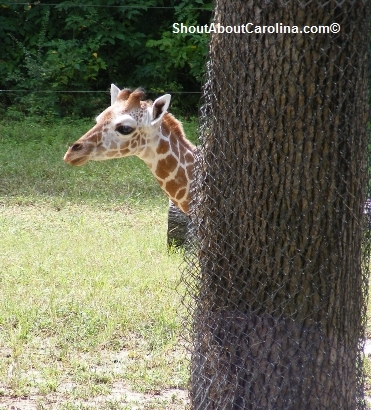 The Greenville Zoo is open daily 10AM to 5PM. 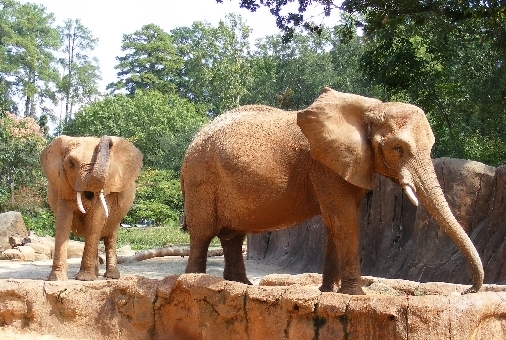 Admission is $7.75 adults, $4.50 children 3-15 and free for children under 3 (Riverbanks Zoo members get in for half price). Brookgreen Gardens is most famous for its exquisite collection of American sculptures and lavish gardens. They are also great preservation stewards of native wildlife and rare farm animal breeds. Here foxes, alligators, deer, wild turkeys, river otters and many wading birds live in a natural habitat. At the farm you can enjoy seeing (and sometimes pet) unusual types of horses, cows, sheep and fowls. 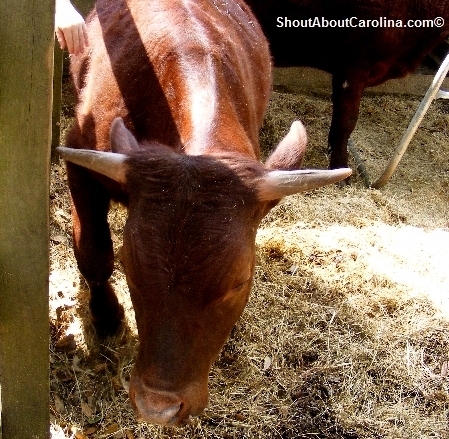 The breeds were brought to South Carolina from Europe and Africa as early as 1500s! Foxy ladies! The gray fox is the only native fox in North America. The red fox was brought here by Europeans in the 1700s to continue their royal fox hunt tradition. Did you know? •	Gray foxes can climb trees, which is a great advantage when trying to escape predators such as the coyotes. •	Gray foxes are often mistaken as red foxes. However they are smaller, mostly gray and have a black tip tail. Red foxes are bright red-orange and have a white tip tail. 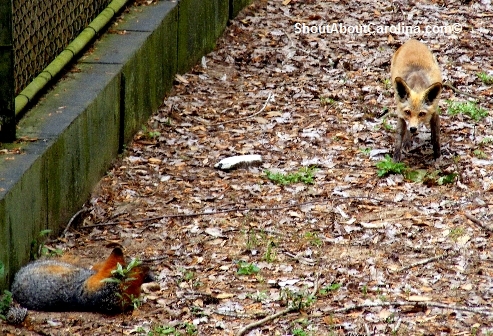 •	Gray foxes are omnivores. • Red foxes mate for life. 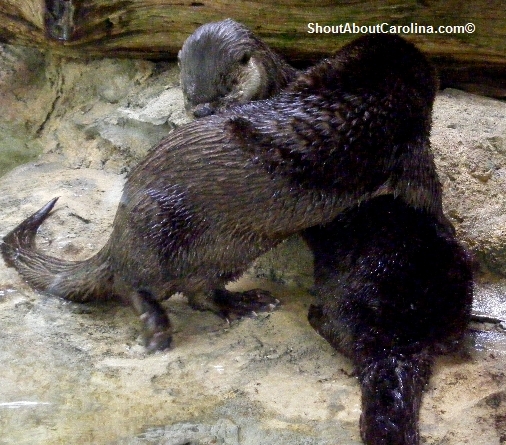 You can always count on the river otters to put a smile on your face. They are playful, funny, cute and may even pose for you! What else can you ask for? Marsh tacky were brought to America by Spanish settlers in the 1500s. 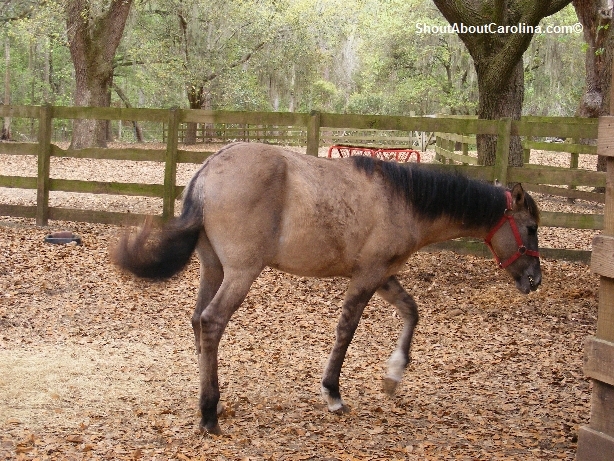 They are closely related to the Bankers ponies of the North Carolina Outer Banks and the Cracker horses in Florida. Marsh tacky horses have narrow shoulders, a sloped rump, a striped down back and a mellow disposition. Being short and steady on their feet, and with large heart and stamina, they can maneuver swamp terrain without panicking or getting stuck in the mud. That’s why the “Swamp Fox” General chose them for his soldiers during the Revolutionary War. The Gullah also used them to plow fields and carry heavy loads. Today they are fewer than 250 pure Marsh Tacky horses. The first Red Devons arrived in America in 1623. The sturdy and docile cattle were used on plantation as food for their meat and milk, and as oxen to plow fields and haul wagons. Both male and female grow horns. 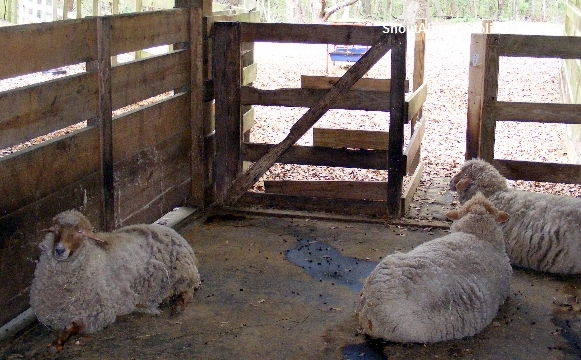 Tunis sheep were brought here from Africa in 1799. They produce very good meat and remarkable long wool. The lambs are reddish at birth and turn white as they grow. Tunis sheep are very tolerant to heat. The Guinea fowl originated in sub Saharan Africa. They were kept on plantation for meat. As wild birds they were allowed to roam freely and roost over night in trees to escape predators. They forage well for themselves and are tolerant to heat. 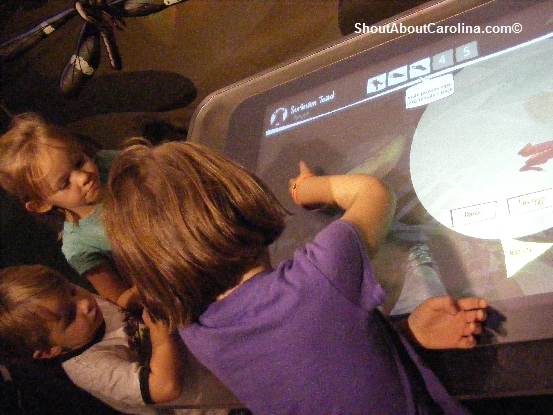 There are more fun kids things to do inside the Lowcountry Center and the Children’s Discovery room (free with garden admission). Brookgreen Gardens admission is $12 adults, $10 seniors and $6 children 4-12 ($1 off coupon in most travel brochures). Tickets are valid for 7 consecutive days. Call (843) 235-6000 for more info. Open daily 9:30AM to 5PM. “I want to hug her!” my daughter kept yelling. That’s when you know you found cute. C’mon look at these big ears, little pink rump pads and round sparkling eyes! 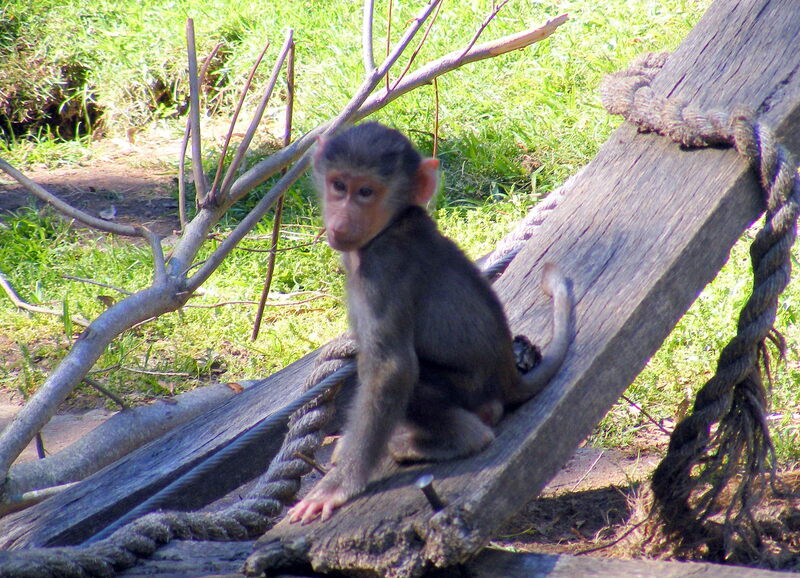 Yara, the baby baboon is the new Hamadryas star at Riverbanks Zoo, which hasn’t had one for over 25 years. 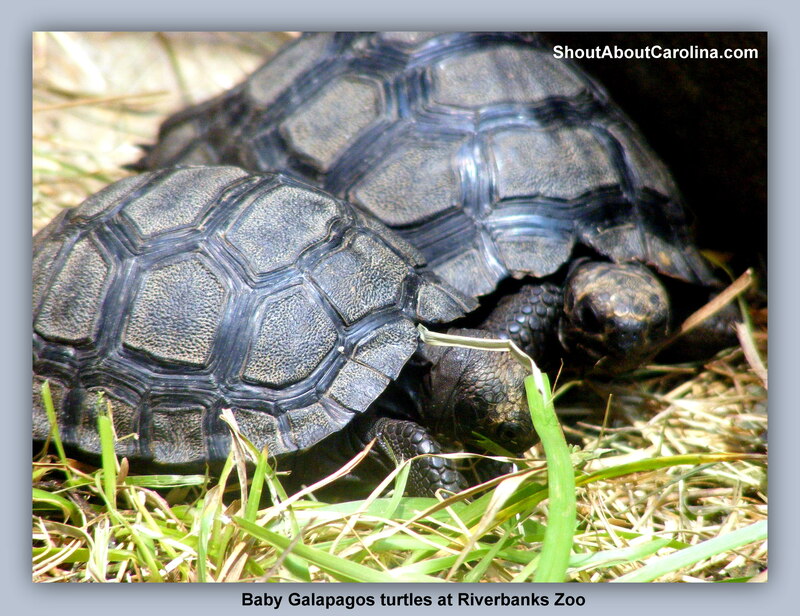 See more Riverbanks Zoo babies pictures. 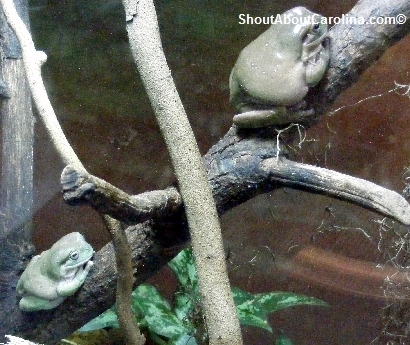 The Fantastic Frogs exhibit at Discovery Place science museum in Charlotte features exotic live frogs from all over the world with striking survival capabilities. Here you can immerse in the wild, colorful world of amphibians and see how frogs use disgusing techinques to attract mates, deceive predators and survive. The Marine Cane, Bufo Marinus, can survive almost anywhere in the southern hemisphere. Also known as the Cane Toad, it was brought from Hawaii to Australia in a failed attempt to control sugar cane beetle population. With no natural enemies the toad has flourished and destroyed much of the habitat it was meant to protect. It is now considered one of the world’s worst invasive species. 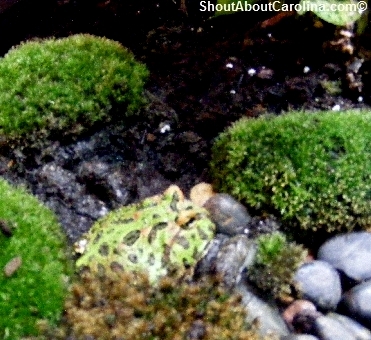 The Pacman Frog, Ceratrophys Ornata, can puff up to considerable size and has a large mouth (half as big as the body) with sharp teeth lining the bottowm jaw which deliver a powerful killler bite. Dont mess with the Pacman Frog! • The Dying Poison Dart Frog, Dendrobates Tinctorious, according to legend was used by Amerindians from Guyana and Amazon to change the green color of a young parrot’s feathers by plucking the desired area bald and then rubbing with the living frog. When new feathers grew in they will be magically dyed bright yellow and red. 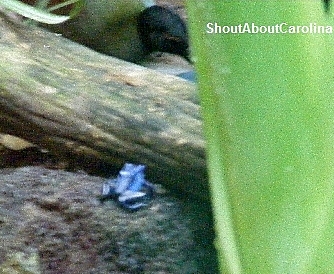 is considered one of the most territorial frogs, with females fiercely defending against other trespassing females. During the breeding season, a victorious females wins the mating rights with the male of choice. 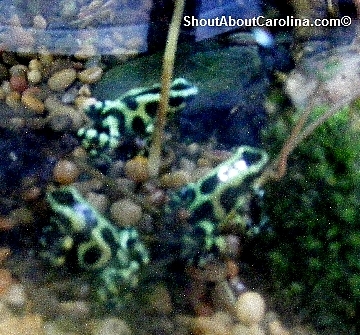 Two weeks after laying her eggs she must transfer them to separate pools as the growing tadpoles are cannibalistic. • The Black-Legged Poison Dart Frog, Phyllobates Bicolor, is one of the three frog species whose toxin was used to poison the spears of Columbian Choco Indians hunters. • The Green and Black Poison Dart Frog, Dendrobates Auratus, possesses a natural compound called epibatidine that has powerful pain-killing properties. It is 200 times stronger than morphine and is non-addictive. • The Golden Poison Dart Frog, Phyllobates Terribilis, is the world’s most poisonous frog, 4 times as toxic as the Blue Poison Dart Frog and 40 times more toxic than the Black-Legged Poison Dart Frog. •	The Hairy Toad, Trichobatrachus Robustus, has bony protrusions that shoot out from the toe pads like claws to scare away predators; it’s not yet clear if they can also retract. •	Frog freeze! The Wood Frog turns its flesh from flexible to frozen during winter. The “popsicle” frog remains in a frigid state until the temperature rises, when it thaws back to life. •	The gliding-ator, Polypedates Dennysi, takes a leap of faith through the rainforest canopy to escape predators and to find mates. •	The tomato frog produces a sticky slime that is 25 times stronger than cement. Visit Discovery Place to enjoy and learn about world’s most interesting creatures.